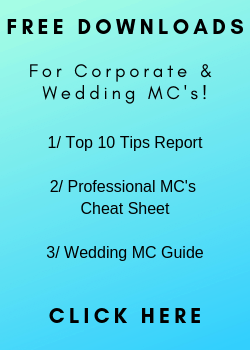 Helping you become a better MC! 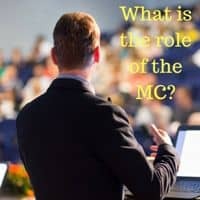 What is the role of an MC? While it is a bit of a “how long is a piece of string” type question, in this article we outline most of the major duties of an MC and provide hints and tips to accomplish each successfully. I’ll mostly use the term MC in this piece, rather than Master of Ceremony, Master of Ceremonies, Emcee, Host, Anchor, Toast Master, Announcer or Compeer. Which of those is correct? I’ll tackle that another day. The role of the MC is to act as a host of the event, facilitate its smooth running and to ensure the outcome the organisers planned is achieved. 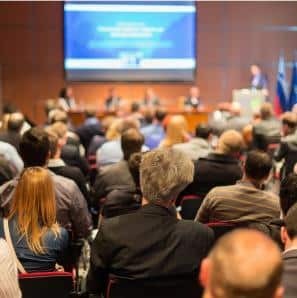 One of the difficulties in explaining exactly what the role of an MC entails, is that there are so many different types of events where an MC takes on this vital role. Corporate & Association Events, Weddings, Community Events, Sports, Music Concerts & Festivals, to name just a few. In this article we will concentrate on Corporate Master of Ceremony work and hope to produce similar articles on the other fields later. We have divided the Corporate MC role up into it’s different components to make you aware of what’s involved and in some cases also given you a few tips and techniques to help you accomplish them. For some of the major components I’ve also included a link through to more detailed information articles on this site and in a couple of cases online videos that also go into much more detail. Probably the MC’s first official job is to welcome the attendees. But remember, as mentioned earlier, you are the Host. So your role starts well before you stride out on stage with your big smile and shiny shoes. Most MC’s mingle and meet attendees as they arrive, either at the registration desk or as they enter the room. Perhaps encouraging people to sit closer to the front, learning a few names, keeping an eye out for speakers they haven’t met and acknowledging the people who come in early, which is a strategy I’ll talk about later. I always find meeting a few people before you start is a great bonus. From the platform you must then settle the people down and welcome them. More formal events may have a strict protocol of who you must mention in your opening remarks, E.G dignitaries and VIPs. Your Client or the Event Organiser will brief you on this. Likewise check if Sponsors need to be mentioned. Often flowing naturally on from the Welcome you must now Frame or Set the Scene. This is a vital area for the Corporate MC. You are going to give the whole event some meaning and context. This is something that you would normally work on in consultation with your client, eg the person who has brought you into the event. Why are they having the meeting? We have a complete list of briefing questions to ask for you within the ExpertMC Toolkit and Resource Manual. One thing you do need to watch out for here is too much crossover with what the CEO or General Manager might also be going to say if they are doing a welcome address near the start, so you want to really put your own spin on the comments. Your aim here is to create interest in the event, stress to the delegates why it’s important and reinforce what they will get out of it all. I often might mention a couple of the speakers who are going to be on during the day and what they might learn from them. It’s great if you know the speakers already or have seen them do a presentation, you can mention that, it’s a nice connection point. Introducing each Speaker is probably perceived as the main role of the Corporate MC but as you can tell already there is much more to the job. Now, some Speakers, especially if they are Professional Speakers, will have a set introduction they like to use. This will be provided to you via the event organiser, on the day by the speaker or prior if you contact them yourself pre event. If they do provide an introduction, read it exactly as printed unless they indicate you can improvise around it. A professional speaker’s introduction is a very important piece in the puzzle. They work hard on it. A bit like how you “framed” the whole event, their introduction will help set up their presentation, establishing their credibility, the importance of the message, what people will gain from it etc. In this way, once they are onstage, they can rock straight into the core of the presentation. Another key point, is to make sure you pronounce their name correctly. Check out some pronunciation tips HERE. If they don’t provide a Introduction then it’s up to you to create one! We have written a more extensive article on this as well as a short video training. See the links below. The important thing here is not just to read out their Bio. A quick framework that works quite well goes like this. The next important aspect of the MC’s role is to thank each Speaker as they finish. Perhaps also once again linking the speech to the overriding theme and/or commenting on points made during the presentation. The Master of Ceremonies may also help facilitate Questions and Answers (Q&A) from the floor at this point. There may be a gift for the speaker to be presented. After thanking the speaker the MC should then provide a link through to the next event, be it another speaker or something else. This is one of the trickiest aspects of the Professional MC’s role. Keeping the event on time. 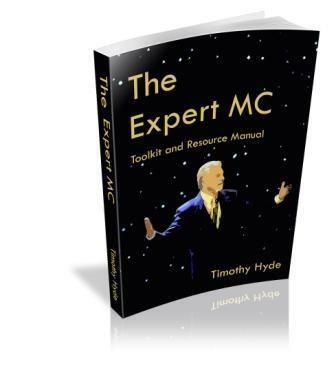 We have extensive resources on this, both Articles, Video’s and in the Expert MC Toolkit & Resource manual. A common misconception here is that it’s just about keeping the Speakers to time. While this is a major factor in events running overtime, keeping the Audience on time is just as important. By this I mean getting them in and out of the room promptly, getting them listening to instructions and announcements, controlling questions and comments from the floor etc. Encouraging and rewarding good behaviour goes a long way towards keeping an event on time. Likewise, the MC must have good communications with the venue staff, keeping them updated on break times etc so there are no delays in food service. Controlling speakers is a subtle art, that require a steady and firm hand. This may involve Time cards, Bells or Electronic devices such as clocks, alarms & lights. Above all it’s about communication with the speaker both before and during the presentation. Check out these Resources, we go into this in much more detail. 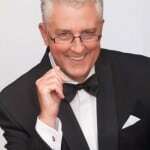 Professional MC’s are often required to facilitate sessions within a larger event. This goes further than just introducing and thanking the speaker and it really is an area where a good MC can shine. Yes, anyone can read out an introduction and thank a speaker at the end, but “framing” an event or speaker so the audience are enthused or running a great Goal Setting Session where the delegates take away an action plan, are areas where a professional is really needed. Examples include – running a Panel Discussion, interviewing a Guest, facilitating a Planning or Goal Setting session, chairing a debate, chairing an official AGM. It is time well spent learning the skills of facilitation. I’ve put a link to an article here on the site and a couple of excellent books. This may happen near the start of the event and then at different times during it. Typical points covered may include – Emergency Procedures, Location of Toilets, Wifi Pass Codes, Dinner Arrangements, Lost & Found, Phones on Silent, Travel Arrangements etc. Building up a rapport with the audience so they take notice and remember these points is a vital key here. As Host of the event you are the Ringmaster. There’s activity going on around you and you are the centre point. Hopefully calm and collected, knowing what’s coming next and anticipating any issues that may arise. To do this you must be connected to all those different aspects. You must be in contact with – your Client, the Conference Organiser (they may be a separate expert, like you, brought into run the logistics side of things,) the Audio Visual team, the Venue Staff, the Exhibitors, the Speakers, any Entertainers. Two liaising tips. Firstly, with the AV team, if there is more than one person, and at big events there usually are, find out quickly who is in charge of that team. Who is actually going to be pushing the buttons during the event. Learn their names and get them onside. Likewise, there may be many venue staff floating about, setting up and being busy. Banquet team, Wait staff, security etc. Find out as soon as you can, who is actually going to be running the room during the event. That is your key person. Secondly, with your client organisation, establish one main point of contact! I go into this in much more detail in the free download Top Ten Master of Ceremony Tips document that you can download HERE. Following this strategy can really save you from several difficult and embarrassing situations that I fully outline in the document. So there are the main Roles for an MC at a Corporate Event. I hope we’ve given you plenty of ideas and some resources to study further. There are more and obviously a whole lot of activities and strategies an MC must follow to fulfil these roles. Something a lot of people don’t realise is that a lot of the MC’s role takes place before the event itself. The briefings and the preparation. The smooth calm commanding figure you see up on stage for a short time is usually the result of many hours of study, preparation and focus. Grab a copy of our bestselling ebook and cut years off your learning curve. Advice from 8 Professional MC's PLUS pages of content you can use in your work! Scripts, Jokes, Openings, Introductions, Thank You's and more. Click the Book for Full Info! This site is owned and operated by Timothy Hyde & Achieving the Impossible. We are a participant in several affiliate advertising programs. 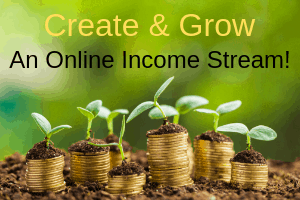 These include – Amazon Services LLC Associates Program, ClickBank and Google Adsense. We are compensated for referring traffic and business to these and other companies.